Next generation sequencing detects actionable and targetable mutations for appropriate diagnosis, prognosis and selection of therapy. The identification of these specific genetic alterations, especially in cancer cells, enables clinicians to efficiently match new, biologically-targeted therapies to our patients. With the development of the first Whole Exome Sequencing (WES) test approved by the New York State Department of Health, the Englander Institute has made genetic sequencing widely available for cancer patients at Weill Cornell Medicine and NewYork-Presbyterian Hospital. Comprehensive profile of all genes within cancer cells. EXaCT-1 is able to provide a more complete understanding of a patient’s cancer, and allows molecular pathologists to find alterations in the cancer-development process in unexpected regions of the exome. The NCI-MATCH Trial is a precision medicine cancer treatment clinical trial involving patients at nearly 1,100 sites, nationwide. A National Cancer Institute Match-designated laboratory for genomic testing, Weill Cornell Medicine can now help to identify and refer potentially eligible patients to cancer trials nationwide. Through Oncomine testing, enrolled patients have their tumors genetically sequenced and may be assigned a therapy specifically targeted to their genetic mutation depending on testing results. The preliminary results of the more than 30 different treatment arms suggest a greater role for genomic sequencing in determining therapeutic approaches. These advanced gene-sequencing technologies help identify the genetic alterations that give rise to and drive disease. Our goal is to make use of advanced gene-sequencing technologies to identify the genetic alterations that give rise to and drive each patient’s illness. 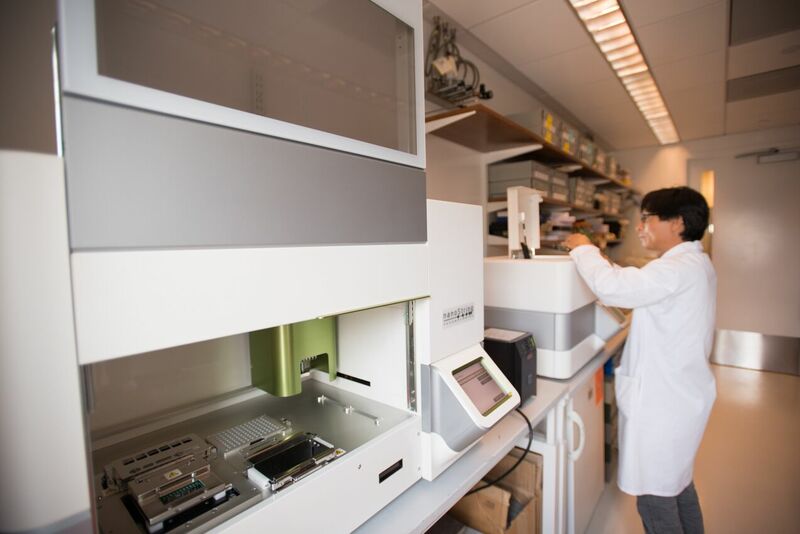 Visit Weill Cornell’s Clinical Genomics Lab for more information about clinical genomic testing at Weill Cornell Medicine.